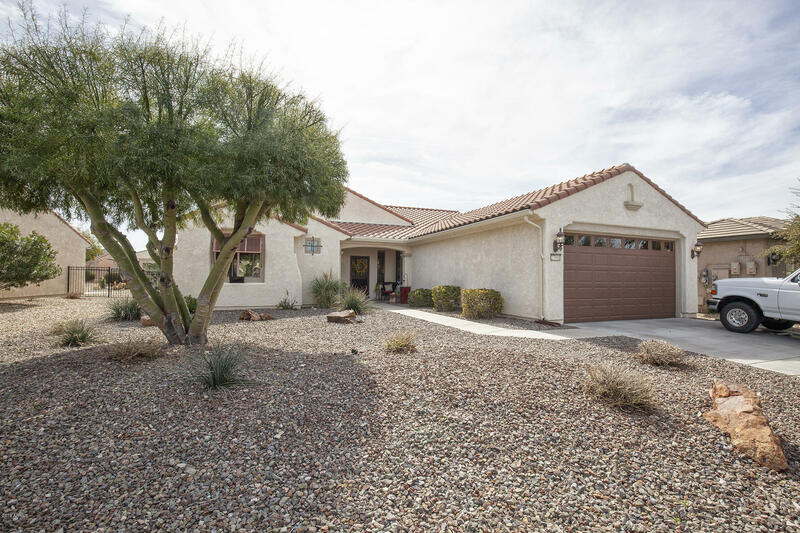 All SUN CITY FESTIVAL PARCELS homes currently listed for sale in Buckeye as of 04/19/2019 are shown below. You can change the search criteria at any time by pressing the 'Change Search' button below. 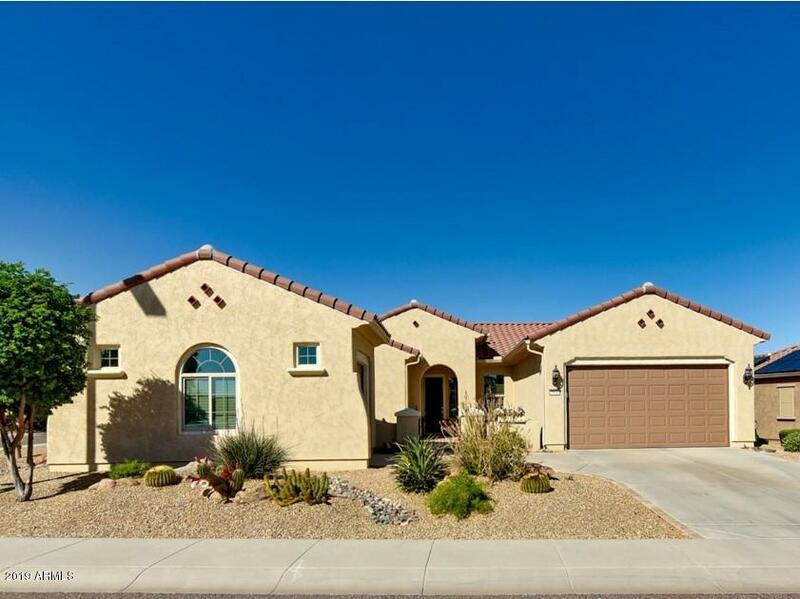 "Stunning corner lot 3 Bed + Den, 2.5 baths 2,529 sqft home w/ spacious great room floor plan. 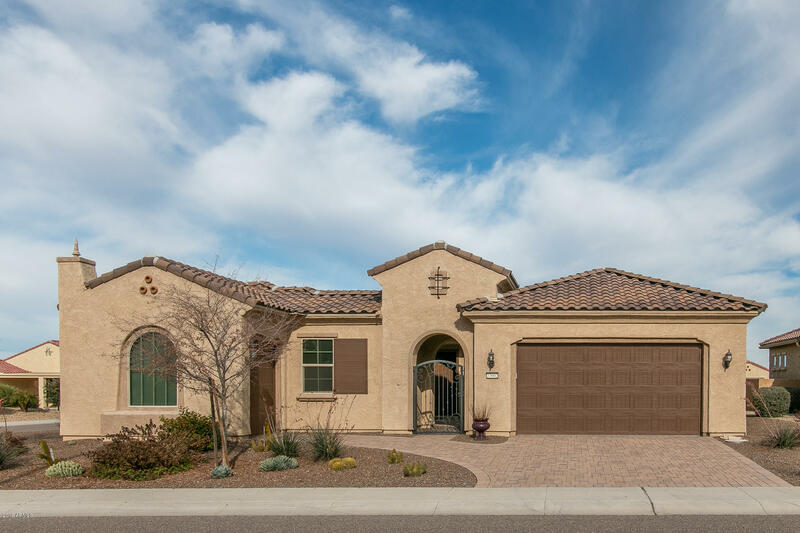 Tranquil front gated and pavered courtyard perfect for morning coffee leads to the entrance of this spectacular home with a den w/ french doors upon entry. Neutral two-tone paint and tile color palette throughout and an open great room with media niches, ceiling fan, and whole wall of collapsible glass doors letting in tons of natural light. The bright and airy kitchen features the luxury cabinet and co"
"Looking for a gorgeous home with a Shasta pool? This may be the home that you're looking for. 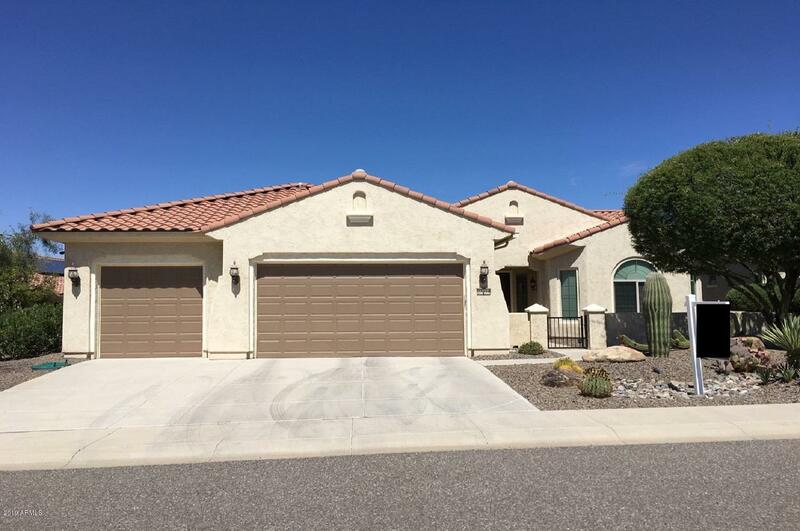 3 car garage, front travertine courtyard, tile and hardwoodthroughout, crown molding, highly upgraded cabinetry, granite counters inkitchen and bath and the list goes on! 2.7 KW owned solar system, tanklesshot water heater that also make this home very energy efficient. Don't delay and let this home pass you by...enjoy Sun City Festival and all it has to offer." 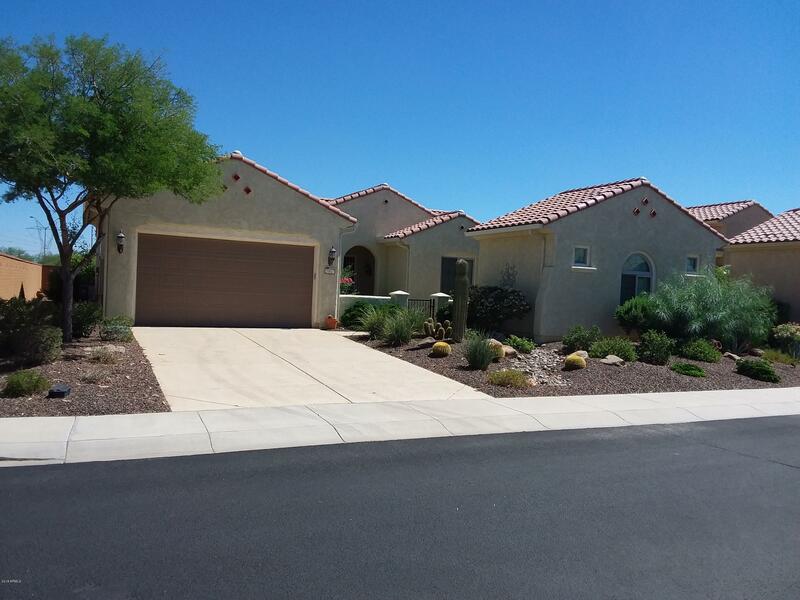 "Come and see this wonderful 2 bed, 2 bath with a den property now for sale in Buckeye! 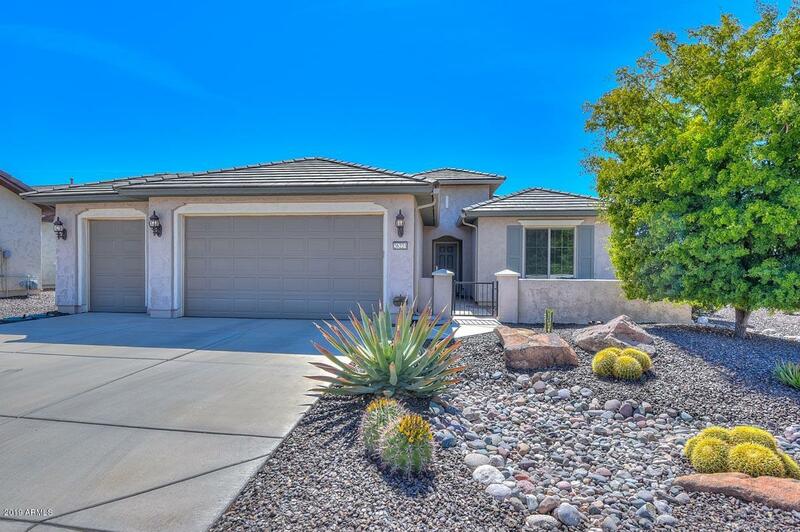 Features a 3 car garage, dining and living area, designer paint throughout, this home has it all and more! The luxurious kitchen is comprised of ample cabinetry with granite countertops, a pantry, stainless steel appliances including a wall oven, a charming island, and a breakfast bar. Inside the grandiose master bedroom you will find a private entry, a full bath with double sinks, separate tub and shower, and"
"BEAUTIFUL DESTINY HOME with 3 CAR GARAGE and SOLAR! This model's open concept, split floor plan is highly sought after. Oversized great room w/ surround sound, great for entertaining, The eat in kitchen features upgraded maple staggered cabinets w/ pull out shelving , custom backsplash, glass cooktop,SSappliances, Huge kitchen island and breakfast bar Master Suite w/ bay window dual sinks, make-up vanity, Sep/ soaking tub & step in shower, large walk-in closet. Generous 2nd bedroom w/"
"BEAUTIFULLY SET IN THE HEART OF THIS COMMUNITY OF FUN is the popular Jamboree great room plan w/diagonal floor tile t/o! Two beds,1 3/4 baths & den! YOUR FAVORITE KITCHEN w/stainless appliances, stunning granite counters, glide out lower shelving, breakfast bar & BUTCHER BLOCK island stays! Enjoy your own music with Pre-wired speakers in LR & patio. MORE..soft water loop & tankless water heater In the extended garage! Plus 24 Solar Panels save you $$$! A 31,000 sq.ft. 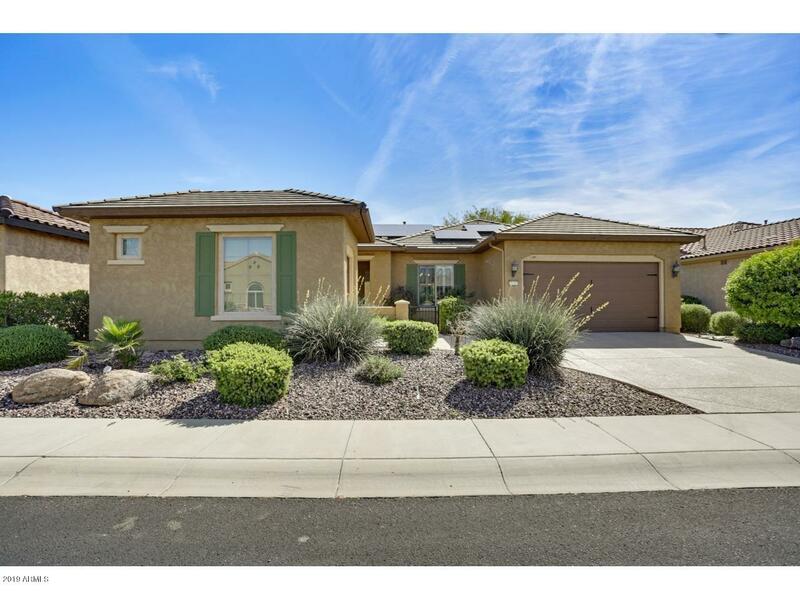 Rec Center has all equipme"
"This beautiful home has multiple upgrades throughout. Kitchen has 48 inch cabinets, granite counter tops, 5 burner gas cook top, confection oven, microwave, wine cooler and large area for daily dining. Great room has a fireplace and easy to maintain tile floor. Laundry room has desk and area, granite counter tops and a utility tub. Master Bedroom has just been painted. Master bath is one you don't want to miss seeing. Guest house has neutral colors. Home on a cul -de -sac with green belt b"
"GOLF CART GARAGE! The Gala was the most popular model because of its open floor plan, spacious master suite but mostly because it's one of the few homes with a golf cart garage. 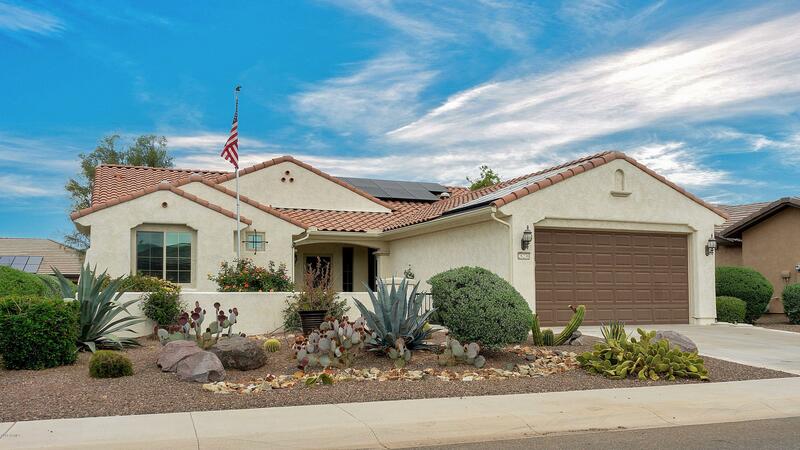 This lightly lived in (snowbird home) home offers all the upgrades you would expect. Imagine the morning coffee or evening drink on your extended patio with privacy created by the amazing plants they've added making this an oasis just for you. The front courtyard also gives you a great place to relax when you want to be "
"Welcome to a beautiful JAMBOREE model w/ one of the largest extended backyards in Festival & SOUTH FACING. Amenities include: Granite counters, lower Glide-out shelving & Lazy Susan, beautiful back splash, gas stove, and appliances are SS. NEW Disposal & Dish Washer, floor Tile cut diagonally. Interior all professionally painted including doors & base boards. Washer/Dryer/Frig convey w/ sale. Multiple ceiling fans. Master bathroom upgraded into Slate counters and shower walls= very beautiful"
"CHARMING VALOR MODEL! Light & Bright Open Concept Floor Plan. 2 Bed+ Den . 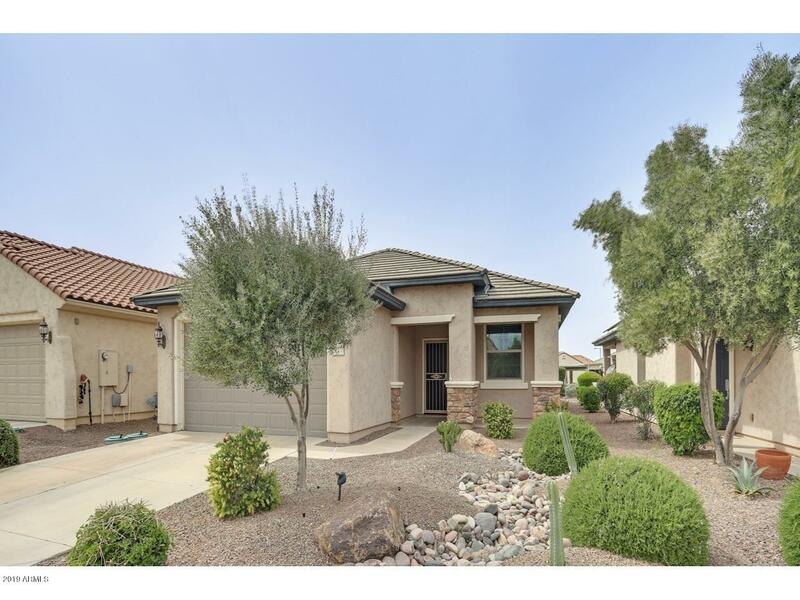 Neutral tile and carpet in all the right places Kitchen features Stainless Appliances New Refrigerator, granite counters, electric cook top range, large center island w/ breakfast nook, honey glazed staggered, maple cabinetry w/glide out shelves & lazy susan. Additional features include, Built in Office space, Sun shade screens, Newer pvc irrigation system. Custom security door & Surround Sound. Generous Master suit"